​These donations earmarked specifically to assist dogs 5 years and older, who have passed our evaluations with stellar marks and are eligible to enter our program. NERR&R presently takes in a very low percentage of older dogs because of limited resources, extended foster care time and anticipated increased medical costs and care that are usually associated with rescuing more mature dogs. We are hoping to change that, but we desperately need YOUR help. I know that with help from every dog owner who has a dog 5 years old, and older, that we can raise some additional funds to supplement the care of many older, more mature dogs that deserve a second chance at life. 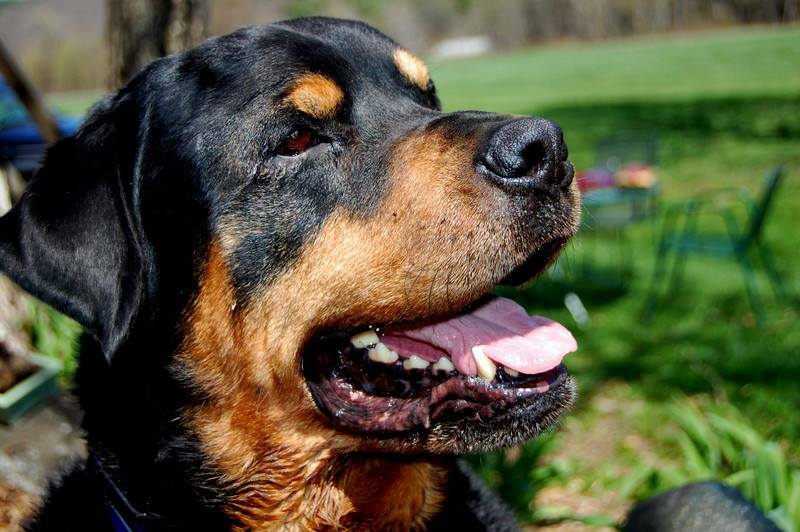 Rottweilers are in the prime of their life at age 5 and deserve the same consideration that the younger, more desirable dogs do. Don't you think? Where would YOUR older dog go if something happened to YOU? What about that good older dog sitting in the shelter..waiting? What about the older dog whose owner has died? Help us make this project successful by sending in a donation in your dogs name and earmark it for the Molly Fund. We will name the older rescued dogs after YOUR dogs that have sent in donations. Please remember to write "Molly Fund" on your check so it will go directly to the care of the Older Dogs. Thank you for your participation in this much needed program~! !